- Curt Hawkins had been out of action since August with a hernia. 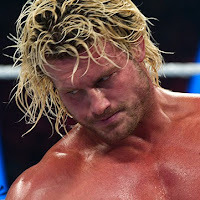 He returned to action at last night's RAW live event in Leeds, England and lost to Zack Ryder. He then issued an open challenge which was accepted by No Way Jose, who also defeated Hawkins. Hawkins issued yet another open challenge, which resulted in a loss to Elias, his third of the night. - Paul Heyman took to Twitter today and wrote the following to WWE Champion AJ Styles after Styles ripped off his line during last night's SmackDown promo. Styles is set to face WWE Universal Champion Brock Lesnar in a non-title match at Survivor Series. Attn: @WWE Champion @AJStylesOrg: I am a great admirer of your in-ring abilities, but to close your promo w/ "not a prediction .. a spoiler?" In #@BrockLesnar's SuplexCity, we don't do other people's shtick. I was gonna tweet a reply... but honestly no interest in him so I'll say this... our roster is talented as hell.. thanks for giving back... brother ? ?